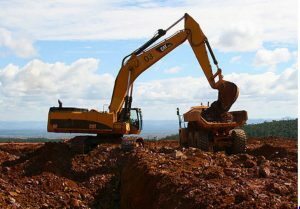 MADAGASCAR – Sherritt International is reducing its interest in the Ambatovy nickel joint venture to 12% from the current 40%. Sherritt will, however, remain as operator of the project until at least 2024. $1.4 billion of joint venture partner loans will be eliminated from Sherritt’s balance sheet in return for its smaller share of the project. Sherritt’s reduced interest will be retroactive to the end of 2015, as will its proportionate funding obligations. Sherritt agrees to escrow approximately US$23 million to satisfy 12% of potential future funding requirements. Amounts in escrow not used for project funding will be used to pay down the partner loans at maturity, which was US$132.2 million at the end of March 2017. Sherritt is reducing its interest in the Ambatovy joint venture but will remain operator at least until 2024. Discussions are continuing among the partners to resolve tax, accounting and ancillary business issues. Additional details will be available once all partners have approved. Sherritt is celebrating its 90th anniversary this year. Please see www.Sherritt.com.